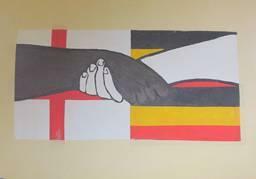 Links between schools in England and schools in Mityana played an important part in the charity's inception. Adults and children are becoming more aware of the many ways in which our lives are linked with others all over the world. Exploring, discussing and understanding these historical, geographical, economic, political and social links is a vital part of every child's education and preparation for being a citizen of the world in the 2lst century. In this technological age of rapid communication, children are ready to investigate, discuss and understand the complexities of the world in which we all live. The National Curriculum and Every Child Matters enable learning with a global perspective. It includes requirements to teach about a range of cultural, development and environmental issues. Links can be developed between school, community and churches. Children are encouraged to examine values, to combat prejudice and develop open-mindedness. Building on their knowledge and interest in the world, their horizons can be broadened and awareness of increasing global interdependence raised. Teacher exchanges can be arranged with both teachers working alongside each other in their classrooms enabling them both to gain first hand information. This enables them to plan a stimulating and wide ranging set of experiences for their pupils. The DCSF International School Award is supported by education departments and devolved administrations across the UK. It is an accreditation scheme for curriculum-based international work in schools. It is open to all UK schools and is free of charge. For further information go to The British Council.